From Head to Toe in Berlin is a stand-alone show ideal for a corporate party, birthday celebration, & intimate studio theatre spaces. The Baroness takes the audience on a journey through 1930s Berlin with some interaction and audience participation. This sell out show featured at the Brighton Fringe Festival. Please click here for downloadable information about the show. 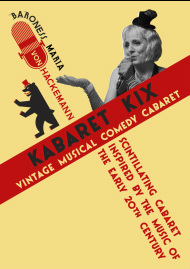 Kabaret Kix is a variety show of vintage music from the early twentieth century. Featuring songs such as 'Keep Young and Beautiful', 'La Vie en Rose' made famous by Edith Piaf and other English, French and German chanson. This show is performed in a range of venues including pubs, restaurants and other performance spaces. An satirical yet fun show for the festive season. Finding Christmas hard to swallow! 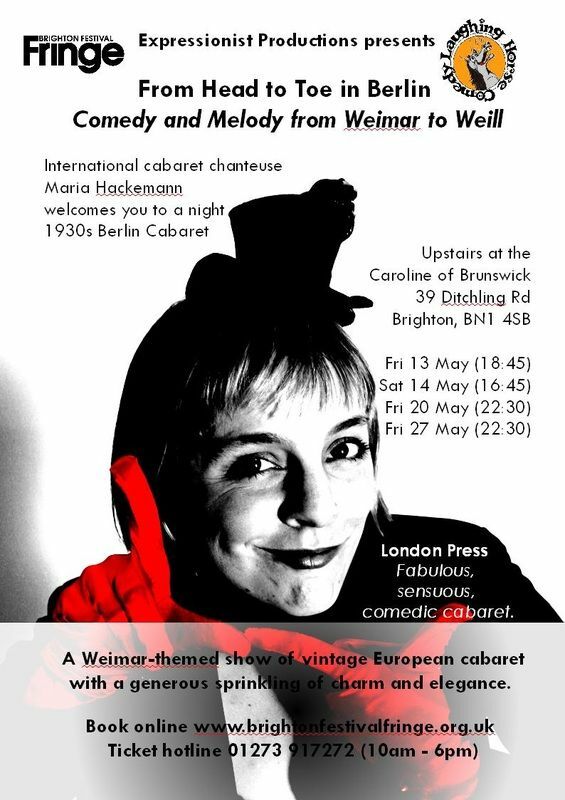 Come along for a night of sassy cabaret with the bolshy Berlin Baroness serving up musical comedy with songs from the early 20th Century and beyond (Fred Astair, Cole Porter, Ginger Rogers, Ella Fitzgerald, Tom Lehrer, Liza Minelli and more). All of the above shows can be tailored in length and repertoire to suit your event and song requests can be considered. They can be performed with backing tracks or with live accompaniment. Maria's forthcoming performances and shows can be found on the Gigs page or by adding yourself to our mailing list.